CHICAGO — Fifty-six retired U.S. generals, admirals and other senior officers voiced opposition on Tuesday to President Donald Trump's announcement of a ban on transgender military service, saying it would be disruptive and degrade readiness. Also on Tuesday, the U.S. Coast Guard commandant, Admiral Paul Zukunft, offered support for transgender members of his service. The letter and comments were the latest push-back from retired or active military members after Trump said on Twitter he would ban transgender people from serving in the military "in any capacity", reviving a ban that had ended in 2016. Trump's announcement appealed to some in his conservative political base, but it created vast uncertainty for active-duty and reserve transgender service members, who say they number in the thousands. The retired officers said in their open letter that the ban "would cause significant disruptions" and deprive the military of talent or force members to live a lie. The retired officers said the move would "degrade readiness" even more than the "don't ask, don't tell" policy implemented in 1994 under President Bill Clinton that lifted a ban on gay people serving in the military but called for them to be circumspect about their sexuality. "Patriotic transgender Americans who are serving - and who want to serve - must not be dismissed, deprived of medically necessary health care, or forced to compromise their integrity or hide their identity," the former officers wrote. The ban would also force non-transgender members to choose between reporting comrades or disobeying policy, they said. The letter was released by the Palm Center, a public policy think tank. 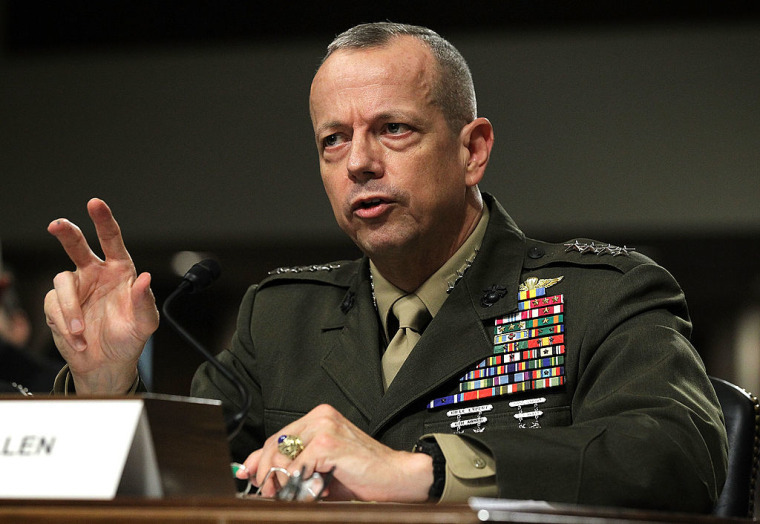 Signatories included retired Marine General John Allen, who formerly led U.S. troops in Afghanistan, and retired Army Major General Antonio Taguba, who investigated abuse of detainees at Abu Ghraib prison in Iraq. Zukunft said that he supported transgender members of the Coast Guard during an appearance on Tuesday at the Center for Strategic and International Studies in Washington, D.C. He did not say what the Coast Guard, which is part of the Department of Homeland Security, would do if the ban was implemented. He said the Coast Guard has contacted 13 service members who declared themselves to be transgender. "We have made an investment in you, and you have made an investment in the Coast Guard," he said of the service members in response to a question. "And I will not break the faith."